You should always put your handbag on a chair, as it is bad luck to let it touch the floor. It’s said that if your bag falls or is left on the ground, you will lose the money kept inside it. Putting a purse on the floor is said to encourage abundance blocks. The number four and all its associates (14, 24, etc) are incredibly unlucky, as the Chinese pronunciation of the number is nearly identical to the word “death.” That also means there aren’t any no fours on buildings, number plates and almost anything else! The numbers 13 and 23 are also believed to bring bad luck – many elevators for high-rise buildings in China don’t even have these numbers on their control pads! 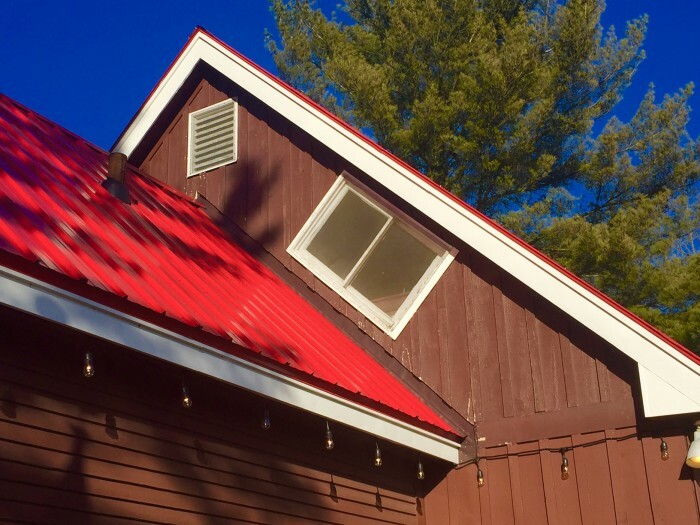 Particularly around the state of Vermont, many 19th century farmhouses were built with slanted windows in their roofs due to the commonly-held belief that witches could not fly their brooms into tilted openings. Leaving scissors open is said to bring extremely bad luck. Opening and closing them without cutting anything less so, but is still regarded as promoting misfortune. However – scissors do have spiritual symbolism in Egypt, and it is believed that placing them under your pillow while sleeping can help prevent nightmares. Superstitions and magical beliefs are very popular. For instance, it is common practice for a husband to cast a spell on his wife to prevent her from committing adultery. Should this spell be broken, it is said that the bodies of the cheating couple become tightly bound together in a ritual known as ‘durawalling’, and are therefore unable to separate. The practice is believed in so strongly that it actually acts as a strong deterrent for such extra-marital activities. You should hide your stomach during a thunderstorm, especially before falling asleep! This is because it is believed that Raijin, the god of thunder, will steal and devour your belly button while you’re in peaceful slumber! It is also believed that the Raiju enjoys sleeping in a human navel. It is said that superstitious people in Japan therefore often sleep on their stomachs during bad weather. You’ll probably never see an empty bucket or rubbish cart in the street. That’s because both are considered to be bad omens that bring poor fortune. Street cleaners are encouraged to keep their brooms, rakes and other cleaning equipment in their buckets afterwards to keep them ‘full’. If you want good luck for a whole year, you should eat twelve grapes at the stroke of midnight on new year’s eve to attract wealth and abundance in all aspects of your life. It is common for city folk to walk around and avoid the manhole covers on the pavement. Many are marked with either a “K” (for the Swedish word for ‘fresh water’ and ‘love’), or an “A” (for the Swedish word for ‘sewage’ and ‘broken heart’). Some locals believe that their romantic fortune and fate can be determined by the amount of K and A covers they pass over, and they can plan their steps accordingly. If you step over the wrong kind of manhole cover it is said to bring negativity. Thankfully, it can be countered by three hearty slaps on the back. It’s believed to be good luck to spill some water behind a person who’s going to a job interview or is about to attempt a personal endeavour. The movement of water is said to symbolise fluid movement and tranquillity, so they should tackle the task ahead with ease – just make sure you spill it on the ground rather than the person! ← What Does Your Heart Line Reveal About Your Love Life? Good, Or Bad?